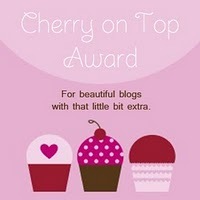 I was tagged by Jen at The Polish-Aholic to receive The Cherry on Top Blog Award. I am so touched. Thank you, Jen! 2. Copy the award and put it in your blog. ~~ I am extremely dependable and loyal. ~~ My hair grows fast. ~~ My wicked sense of humour. I managed to get my camera out and go to my back door while everyone was still in the tree, but as soon as I opened my back door to step out on my patio, one of the ravens took off. But the other one stuck around long enough for me to fire off a shot. 5. Tag five people you wish to pass this award on to.